Siena has been regarded by many as a really pretty city so I am looking forward to getting there. 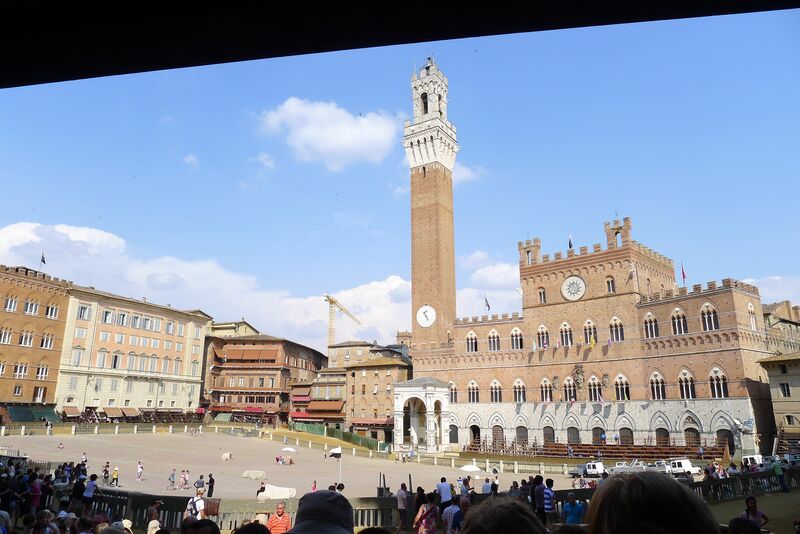 Every summer for the past 400 or so years, the fine city of Siena has hosted an “il palio“, which is a horse race run through the centre piazza, “piazza del campo“, pictured below. The tradition began with the “contrades” or different sections of the city each representing themselves with a horse and a rider. The race is always on the same day, July 2nd, and that is the day that we leave Italy so we will not be in town for it. 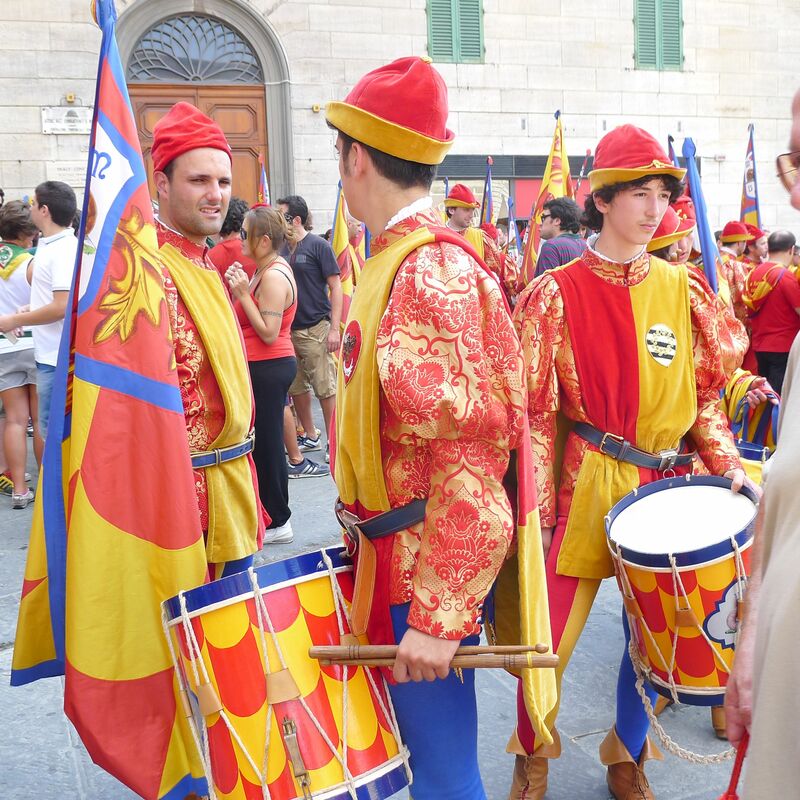 We are however in town for the gathering of the clans and are able to see the various contrades march their horse into the piazza while singing boldy. 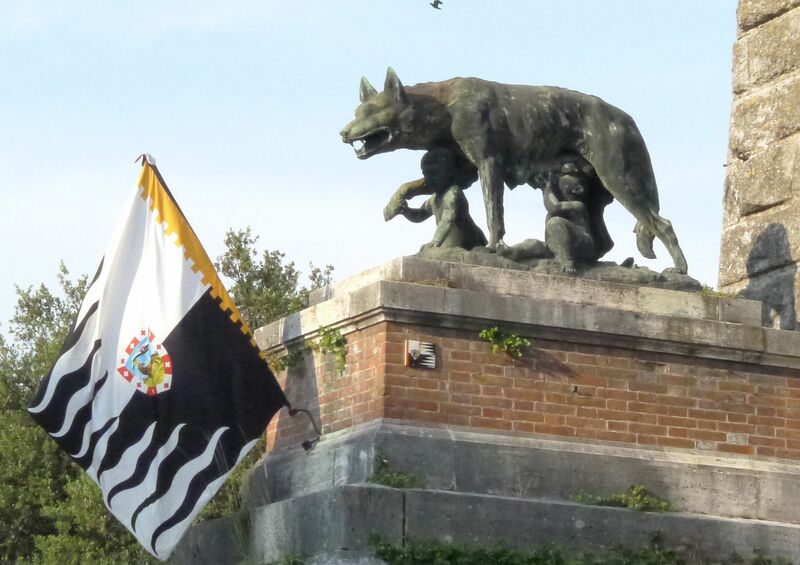 As it happens, we parked outside of the city walls beneath a she-wolf, who we later realized is “lupa“, one of the contrades. 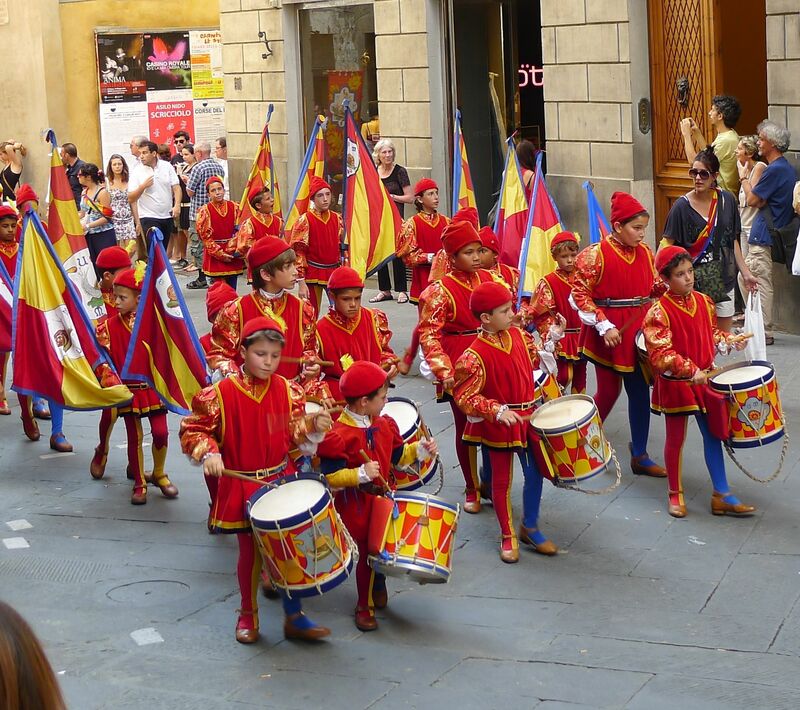 We saw the children marching and singing from the snail or “chiocciola” contrade as well as their adult counterparts. 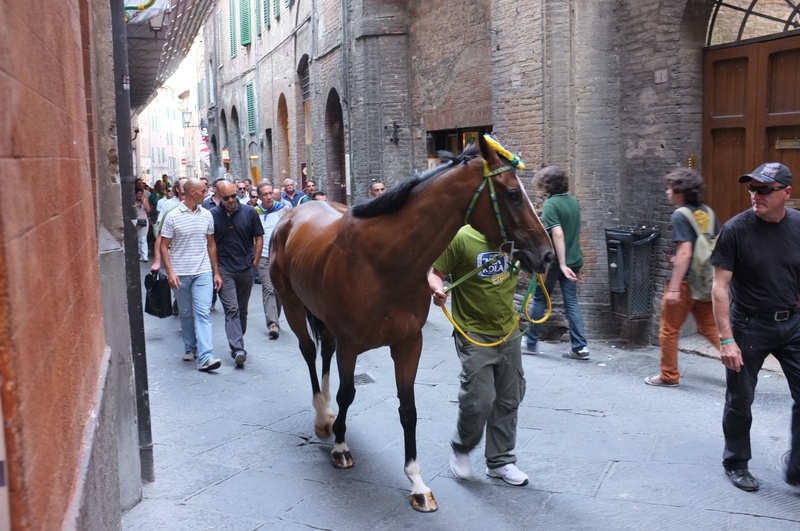 Later, after an al fresco dinner at a lovely restaurant we watched one of the horses being led in to the piazza del campo followed by the very loud “brucco” or caterpillar contrade.